Operating profit at the world's biggest furniture group was 2.25 billion euros ($2.54 billion) against 3.03 billion in the previous fiscal year. IKEA Group on Wednesday reported a 26 percent drop in operating profit for its fiscal year through August and said increased investments to meet rapidly changing shopping habits weighed on results. IKEA, known traditionally for its self-service out-of-town stores, is in the midst of transforming its business model, investing in e-commerce, services and more accessible city-centre store formats in the face of the online shift and increasing competition. 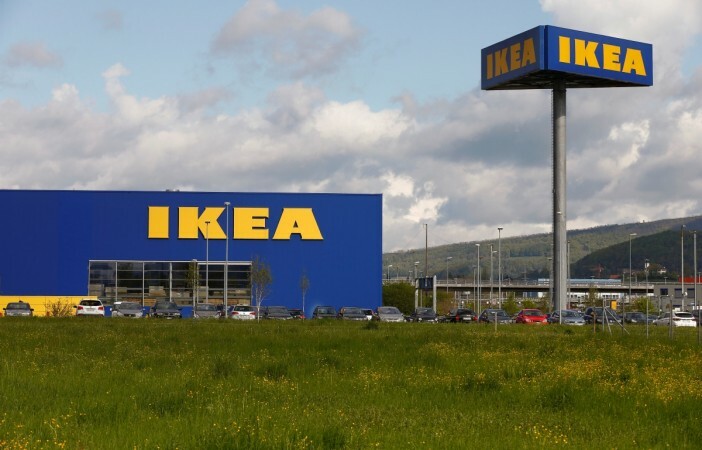 IKEA Group said it invested 2.8 billion euros in total in stores, distribution and customer fulfilment networks, shopping centres, renewable energy and forestry in the year. "In FY18 we made some initial structural changes to our operations and over the coming three years we continue to transform our business. The business transformation and the investment related to this will impact our cost structure and bottom-line result," it said. The privately held group said in a statement that profit was also negatively affected by lower results at its securities portfolio and the sale of subsidiaries. It reported in October a 5 percent increase in full-year retail sales, with a nearly 50 percent jump in online sales. Total sales, which also include rental income at its shopping centres business, were up 2 percent to 37.1 billion euros, it said on Wednesday. IKEA stores worldwide are owned by 11 franchisees, of which IKEA Group, whose formal name is Ingka Group, is the biggest with 367 stores at the end of August. Franchisees pay 3 percent of their annual sales to brand owner Inter IKEA. As part of a reorganisation in recent years of the web of companies and foundations that make up IKEA, IKEA Group in its fiscal 2015/16 year sold its product development, production and supply chain management subsidiaries to Inter IKEA. Inter IKEA reported this month a drop in annual underlying profit, squeezed by higher wood and metal prices as well as investments.